Did you know: Orson Welles and his then-wife Rita Hayworth bought a Big Sur cabin on impulse during a trip down the coast in 1944. They never spent a single night there, and the property is now the location of a popular restaurant, Nepenthe. Big Sur on the north central coast of California has attracted people in mind.… body… and spirit for centuries. Its beaches are captivating… the ocean’s roar mesmerizing and the sunsets overlooking the edge of the Pacific highlight the fact that at the continent’s edge… not far away… a new one begins. California is called the Golden State not only because of the extensive sunshine it receives throughout much of the year, but also because it fueled the hopes and dreams of millions of settlers, visionaries, missionaries, prospectors and common folk looking to find a better life, prosperity and, yes - gold at the end of the rainbow. From 1769 - 1823, Fathers Junipero Serra and Fermin Lasuen built a series of missions from Sonoma in the North to San Diego near the border with Mexico. In 1848, James Marshall discovered gold at Sutter's Mill in North Central California and the Gold Rush was started. California became a state in 1850, Yosemite National Park was established in 1890 and in 1962 California became the most populous state in the U.S.
Big Sur has long attracted people due to its rugged beauty, cool ocean breezes and generally temperate climate. In the 1950's - 1960's, the area became known as a haven for some of the "beat generation" writers such as Jack Kerouac who enjoyed the raw power of the Pacific Ocean waves breaking upon the rocky beaches. Many came to see what they would find after traveling West as far as they could; some simply to enjoy the immense beauty... still others to escape the conformity of 1950's America. A haven for hippies in the 1960's - 1970's, Big Sur to many was not just a place - it was a state of mind. 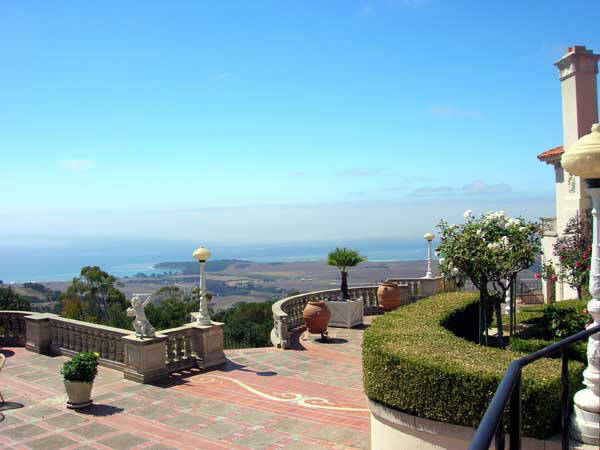 The restaurant/bar Nepenthe, which has breathtaking views overlooking the Pacific 800 feet below, has been visited by thousands over the decades. 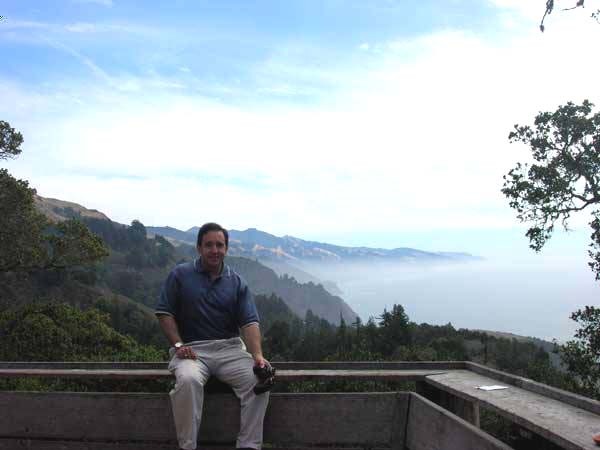 Pfeiffer-Big Sur State Park was formed to allow people to hike along and enjoy the spectacular coastline. Controversial writer Henry Miller lived in Big Sur; a museum still stands down the road from Nepenthe highlighting his works. Now famous for five-star hotels and restaurants, Big Sur is a must see for all those who want to see the raw power of the Pacific Ocean. 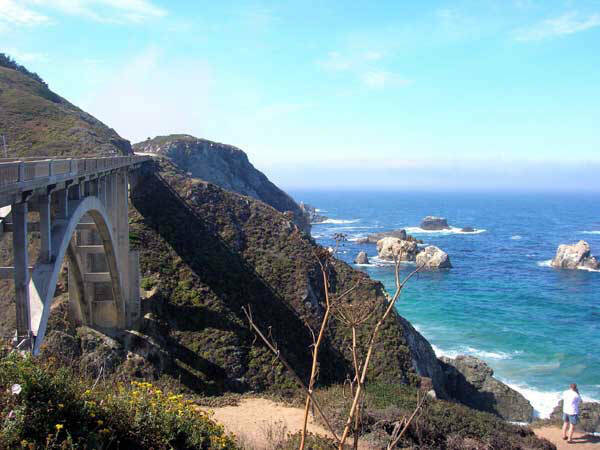 Drive down the Pacific Coast Highway for the best views including the Depression era work projects such as the landmark Bixby Bridge. 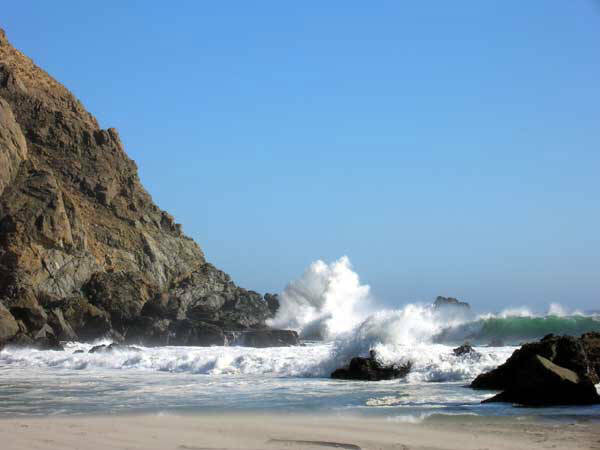 A trip to the Big Sur area can include many wonderful places to experience including the famous Pfeiffer Big Sur State Beach and the Henry Miller Memorial Library. There are restaurants with breathtaking views such as the Big Sur Inn, Ventana, the Post Ranch Inn, and of course - the famous Nepenthe (featured in he movie The Sand Pipers with Elizabeth Taylor and Richard Burton) - a former family home turned into a wonderful restaurant and bar with a terrace which offers breathtaking views of the Pacific. 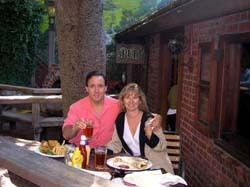 Take a drive to the charming city of Carmel to the North with numerous high quality art galleries, interesting shops. Just North on the Pacific Coast Highway (the PCH, Route 1) about 10 minutes from Carmel is Monterey, which has a waterfront marina… the last vestiges of Cannery Row immortalized in the novel of the same name by John Steinbeck… the famous aquarium… and the Monterey Fairgrounds, where the Monterey Jazz Festival is held every September. Nearby is the famous "Seventeen Mile Drive", which is home to three of the world’s best golf courses - Pebble Beach, Spyglass Hill and Spanish Moss. There are many cozy and interesting restaurants including the Hog’s Breath Inn and Mission Ranch Café, both owned by Clint Eastwood.